NAVETTA. 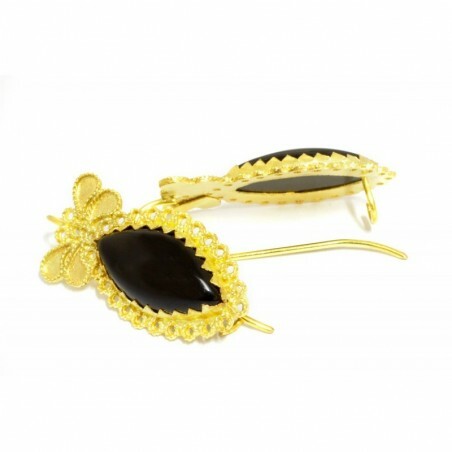 18K Gold filigree earrings with Onyx. > JEWELRY>Earrings>18K Gold filigree earrings "NAVETTA"
18K Gold filigree earrings "NAVETTA"
Unique jewelry made special by the master goldsmith Loredana Mandas who once again demonstrates through her quality craftsmanship and respect for Sardinian tradition, the excellence of filigree, the oldest jewelry art in the world.